"I remain just one thing, and one thing only — and that is a clown. It places me on a far higher plane than any politician." 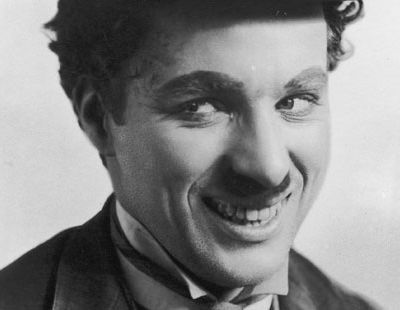 Charlie Chaplin was one of the greatest and widely loved silent movie stars. From “Easy Street” (1917) to “Modern Times” (1936), he made many of the funniest and most popular films of his time. He was best known for his character, the naive and lovable Little Tramp. The Little Tramp, a well meaning man in a raggedy suit with cane, always found himself wobbling into awkward situations and miraculously wobbling away. More than any other figure, it is this kind-hearted character that we associate with the time before the talkies. Born in London in 1889, Chaplin first visited America with a theater company in 1907. Appearing as “Billy” in the play “Sherlock Holmes”, the young Chaplin toured the country twice. On his second tour, he met Mack Sennett and was signed to Keystone Studios to act in films. In 1914 Chaplin made his first one-reeler, “Making a Living”. That same year he made thirty-four more short films, including “Caught in a Cabaret”, “Caught in the Rain”, “The Face on the Bar-Room Floor”, and “His Trysting Place”. These early silent shorts allowed very little time for anything but physical comedy, and Chaplin was a master at it. Chaplin’s slapstick acrobatics made him famous, but the subtleties of his acting made him great. While Harold Lloyd played the daredevil, hanging from clocks, and Buster Keaton maneuvered through surreal and complex situations, Chaplin concerned himself with improvisation. For Chaplin, the best way to locate the humor or pathos of a situation was to create an environment and walk around it until something natural happened. The concern of early theater and film was to simply keep the audience’s attention through overdramatic acting that exaggerated emotions, but Chaplin saw in film an opportunity to control the environment enough to allow subtlety to come through. Chaplin was known as one of the most demanding men in Hollywood. Regardless of the size the part, Chaplin walked each actor through every scene. Chaplin knew that a successful scene was not simply about the star, but about everyone on the screen. He demanded that the entire cast work together in every performance. Without this unity he could not express the subtlety of character that was so important to him. The only way to achieve that unity was to maintain complete control over every scene. This constant attention to detail ran many features over-time and over-budget, but the public reaction assured him and the studios that what he was doing worked. As his popularity increased he took more liberties with filming. Movies such as his 1925 hit, “The Gold Rush”, demanded unending reworking of scenes and rebuilding of sets. 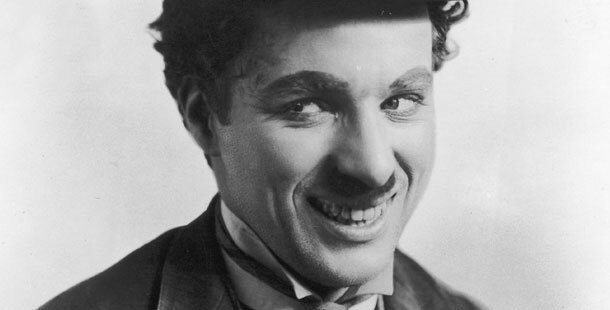 Chaplin typically improvised his story in front of the camera with only a basic framework of a script. He shot and printed hundreds of takes when making a movie, each one a little experimental variation. While this method was unorthodox, because of the expense and inefficiency, it provided lively and spontaneous footage. Taking what he learned from the footage, Chaplin would often completely reorganize a scene. It was not uncommon for him to decide half-way through a film that an actor wasn’t working and start over with someone new. Many actors found the constant takes and uncertainty grueling, but always went along because they knew they were working for a master. Though Chaplin is of the silent movie era, we see his achievements carried through in the films of today. With the advent of the feature-length talkies, the need for more subtle acting became apparent. To maintain the audience’s attention throughout a six-reel film, an actor needed to move beyond constant slapstick. Chaplin had demanded this depth long before anyone else. His rigor and concern for the processes of acting and directing made his films great and led the way to a new, more sophisticated, cinema.